With a lifelong interest in the visual and fine arts, Floria Sigismondi found her ideal medium in moving images. It was the place where the artist could bring together all her interests, as well as communicate the strange experience of growing up in a Canadian factory town within an Italian household headed by opera singers. For the past two decades, Sigismondi has brought her keen eye and unique style to music videos for David Bowie, Marilyn Manson, Rihanna and, most recently, Perfume Genius and Alice Glass. In 2010, she released her first movie "The Runaways" and most recently directed episodes for "The Handmaids Tale" and "Daredevil." 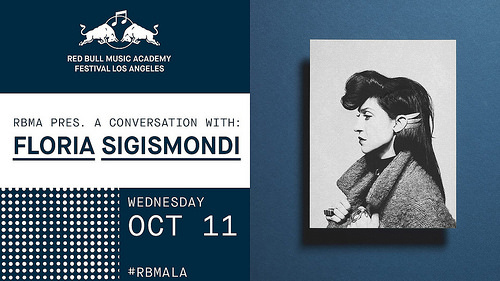 As part of RBMAs Director Series, Sigismondi will be taking a closer look at her work over the years, inviting the audience behind the scenes of selected clips to reveal just how she sees the music.